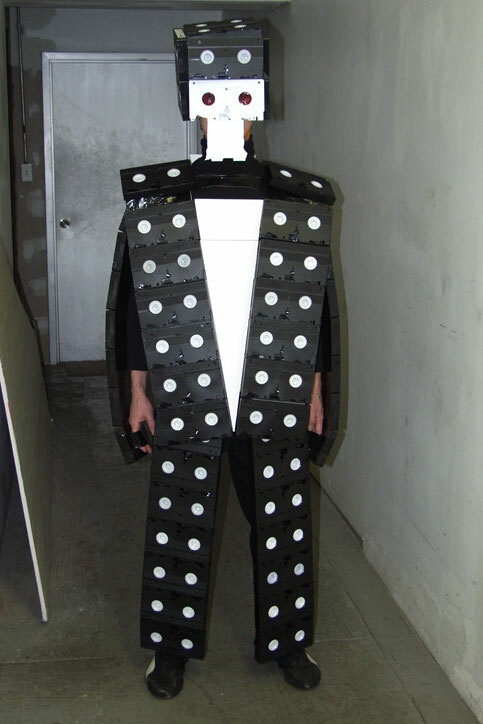 This costume was inspired by the discovery of hundreds of videotapes marked for disposal. I realized that the VHS format was doomed. I also realized that I had stumbled upon free materials for my costume. 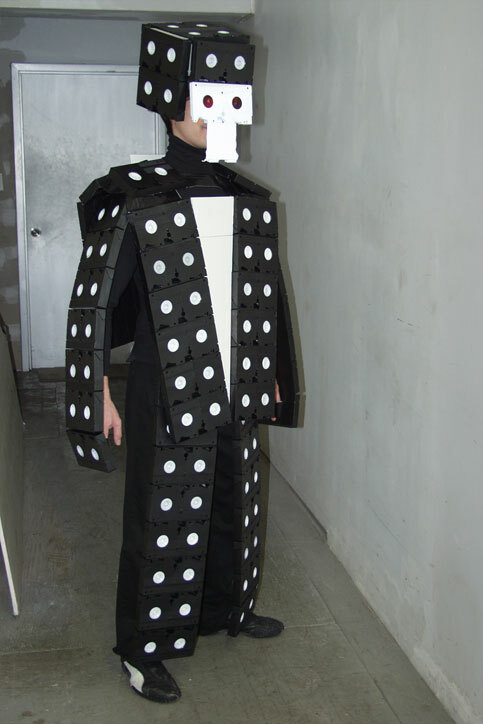 This is the heaviest costume I ever made, even though I used the shorter-duration videotapes with less “tape” inside. I was one of five grand prize finalists in the annual Halloween parade in New York City. Free of charge: 63 used VHS videotapes (rescued before disposal). 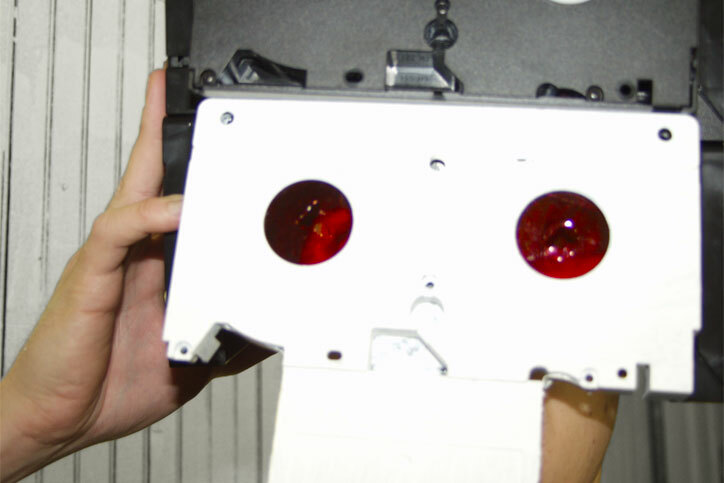 Donated: clear red plastic. Bought: black duct tape ($5.50), one sheet of white foam board ($1.50), white acrylic paint ($1.75), medium paint brush ($2.00). Already owned: black pants and turtleneck, Puma Mostro sneakers.